Tottenham appear to have a genuine interest in signing Carlos Soler this summer. 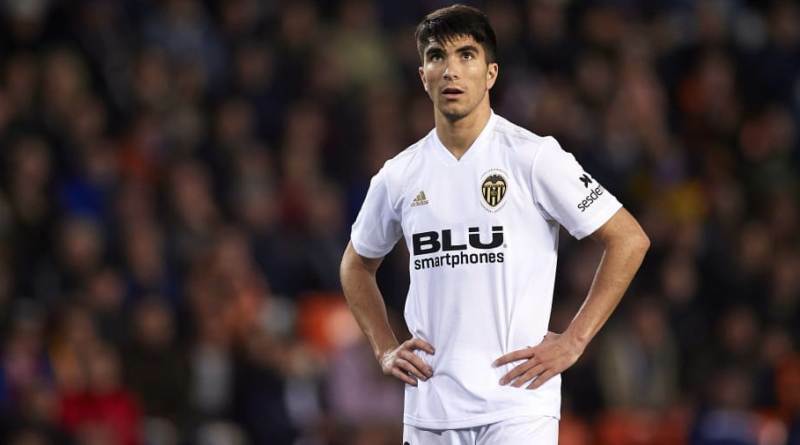 According to the football transfer rumours in Spanish media, Tottenham are eyeing move for Valencia midfielder Carlos Soler. The 22-year-old has two and a half years left on his current contract which expires in 2021. Soler made 91 appearances across all competitions for Valencia, scoring 6 goals and supplying 12 assists in return. Carlos Soler has represented Spain at Under-19 and Under-21 level, winning 17 caps and scoring 2 goals. Tottenham shortlist Carlos Soler as transfer target this summer. Carlos Soler has been long term target of Pochettino as the manager look to bolster his midfield options for the next season. Soler can play multiple positions in midfield. Valencia are not in a position where they need to sell and would like to keep hold of the midfielder, but offers of at least 35 million euros may force the club to consider a deal. Signing the 22-year-old would be a masterstroke from Pochettino.